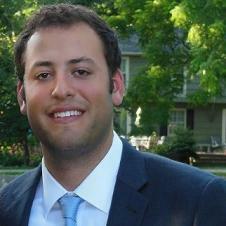 Josh began his career with Castle Advisors in 2012 when he joined his father, Dan, a founding partner. His previous experiences working in education and helping manage Technical Packaging Service, a family run business, have contributed to his skill set. His entrepreneurial drive and passion to work with families and small business owners have created an ideal foundation for his work as a financial advisor. As a second generation advisor Josh has gained valuable insight, utilizing an extensive network of professional relationships that have been established over the last 28 years by his father, Dan. Attention to detail, good listening skills and great empathy are symbols of his appreciation by his clients. He is effectively supported by a team of group benefits and investment product specialists whose teamwork and professionalism help him build long-term relationships with his growing client base and provide excellent customer service. His real passion is serving his clients and helping them meet their financial goals. Josh is committed to professional education as a means to better serve and inform. He currently holds the Series 7 (Registered Representative) and Series 66 (Investment Advisor Representative) as well as Life, Accident, Health and HMO licenses. He cares about families in this area and wants to be able to provide the best financial advice to those in need. A native of South Burlington, VT, Josh began his educational career at Plymouth State University where he played on the Varsity Men's Ice Hockey Team. Continuing on to receive his Bachelor’s degree in Business Entrepreneurship from the University of Vermont. Away from the business, he enjoys playing golf and ice hockey in addition to numerous outdoor recreational activities.